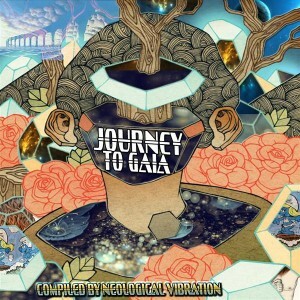 Flying Woofer Records presents an exotic psychedelic trance experience: Journey To Gaia. Compiled by Neological Vibration, this release collects ten powerful dance floor-rocking progressive and full-on psytrance tunes from around the world. Mastered by Karel Weis from Audio Studio 4, U.K, with artwork by Pierre Menaud and design by Sid. MP3 Download | FLAC Download | WAV Download · Download count: 11,045. Released under a Creative Commons licence for noncommercial usage. You are free to download and share this release offline with your friends but for sharing online, only via Flying Woofer Records and official distribution partners. We whole heartedly thank everyone involved in this project!! It was wonderful collaborating and creating this unique journey!! Peace and <3!! Awesome Music ! keep up the flow job! I need for Life! !Best E-music!! Possible corrupt file on #1 in WAV? One of the best and original release this year covering very underground daytime music.. full respect! Glad to be a part of this fresh compilation from Flying Woofer.